COMMENTS: The bright blue primary seemed to be a binary in its own right. The fainter star was pale white. COMMENTS: This binary star system took a sharp focus to resolve. 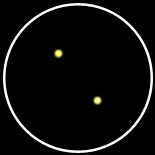 Both stars are dark yellow in color. One appears brighter and larger in the eyepiece. COMMENTS: This pair is somewhat similar to Albireo. 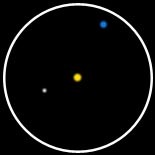 The brighter star is dark yellow, while the slightly fainter companion is dark blue. COMMENTS: These twin stars are of equal (or very close) magnitude and color (blue). 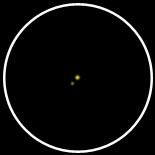 COMMENTS: The famous Albireo double star at the head of the swan. The brightest star is golden-yellow, the other is sapphire-blue. Perhaps the best double star in the sky. COMMENTS: This system is consists of star of very nearly equal magnitude and identical color. They are both a shinny shade of blue. COMMENTS: This multiple grouping of stars has some striking colors. The brightest is golden-yellow. 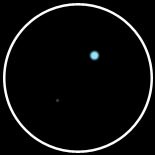 The star ranking second in magnitude is a pale, but brilliant, blue. The third, which is closest to the yellow star, is white. 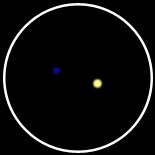 COMMENTS: This wide double consists of stars of equal magnitude and color (yellow). COMMENTS: The brightest star in this wide double is light yellow and the other is deep blue or azure. 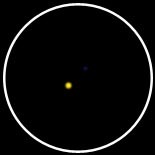 COMMENTS: The brightest star in this system is yellow, white the slightly fainter companion is blue.